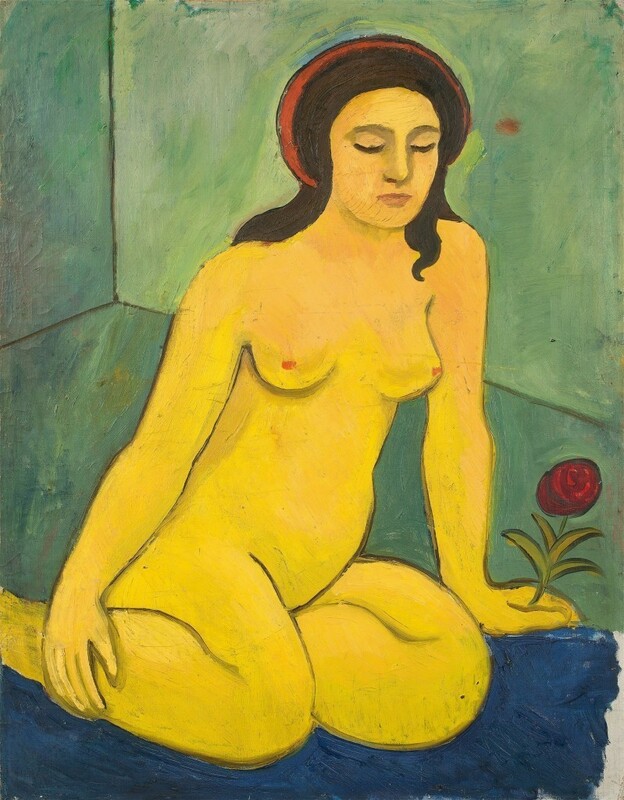 Berlin-based Grisebach are marking 30 years as part of the German art and auctions scene with an auction featuring the works of Fernando Botero, Emil Nolde, Paul Klee and Andy Warhol. 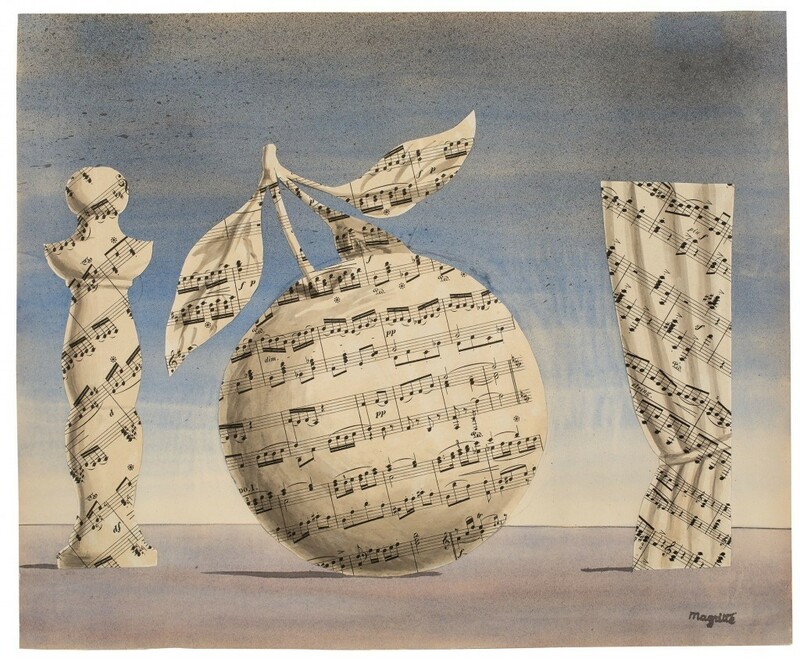 Over 1 000 works coming up for auction at Grisebach will be exhibited in Berlin from November 25 to 29. 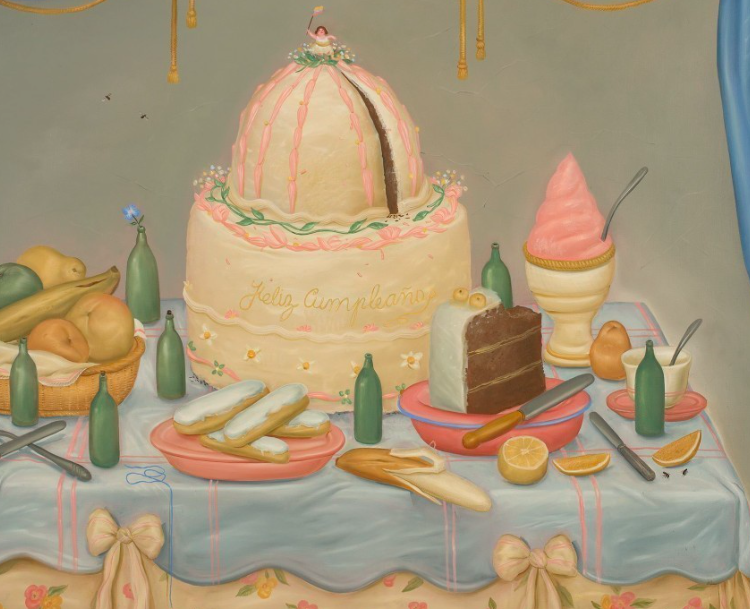 A most fitting piece for such a celebration, Fernando Botero's Feliz cumpleaños still life of a sugary pink birthday feast will be sure to attract interest. 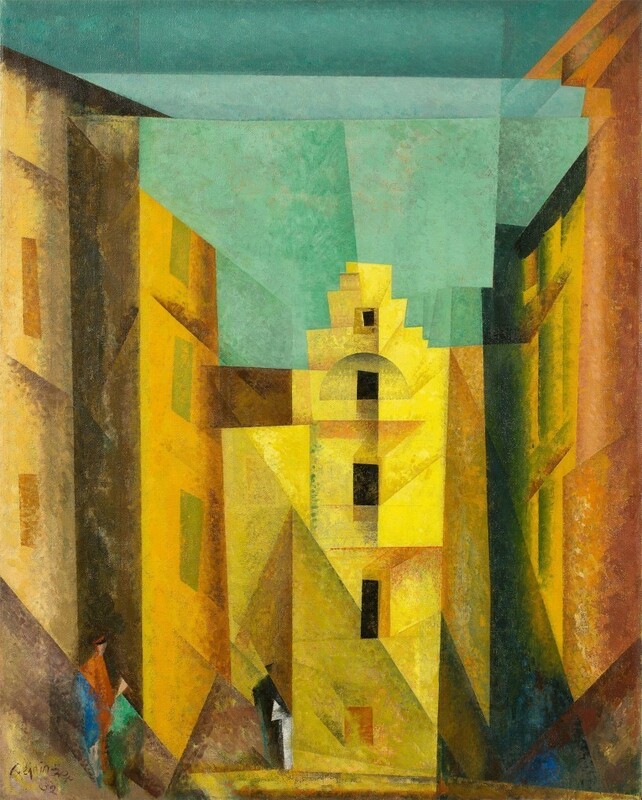 This piece, Yellow Alley was inspired by the artist Lyonel Feininger's journey through the northern German city, Lübeck. Feininger recaptured the city's spires using Cubism. , with its traditional city view in the style of Cubism. During the 1920s and 1930s, modernist ideals were having a huge impact on art and architecture in Germany, reflected in the fact that Walter Gropius was the first Bauhaus master in Weimar. Emil Nolde's Expressionist piece also reimagines north Germanys landscape. 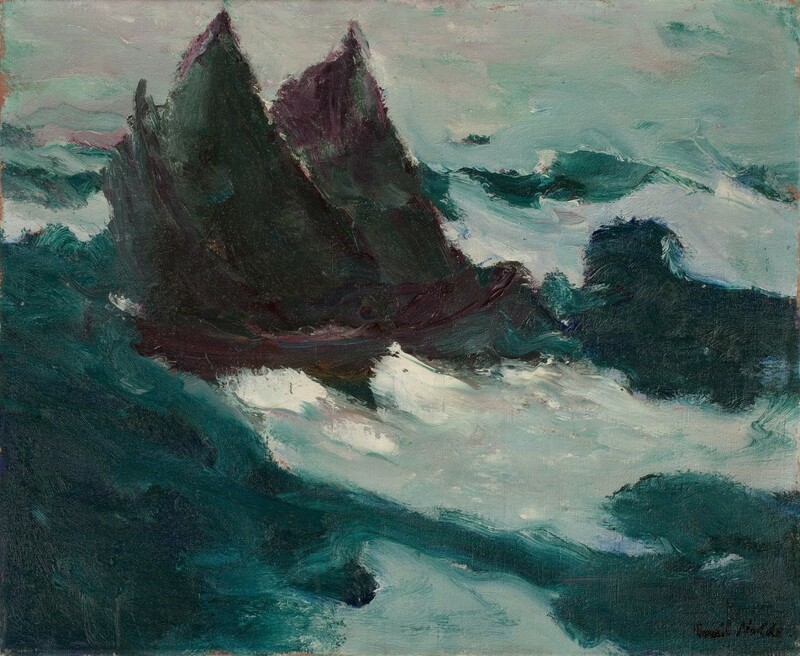 During 1913-14, the artist turned his attention to the South Seas. The 19 oil paintings he created whilst there were lost upon his return. Seven years later, the pictures were found in England and returned to Nolde. 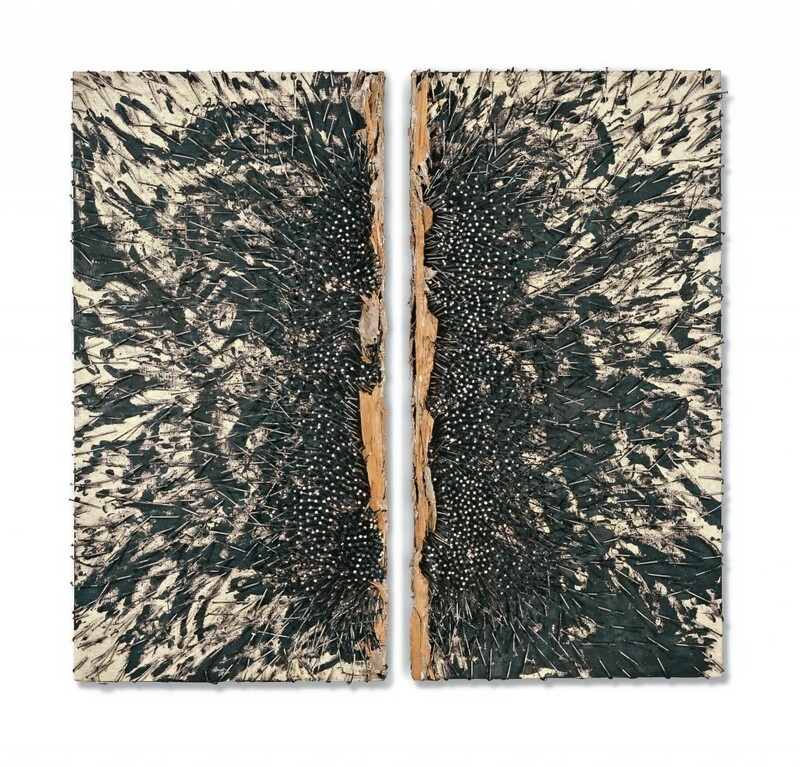 Moving Sea II (two sails to each other) is one of these works. 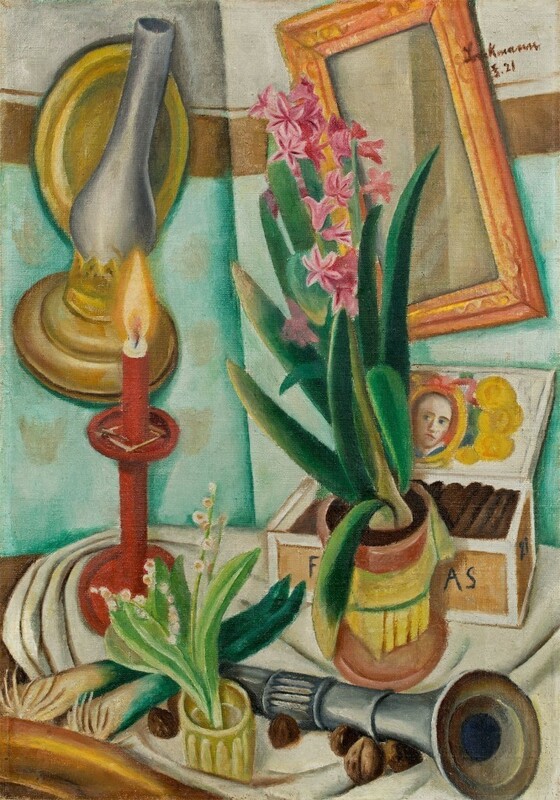 Still life with a burning candle is a reflection of how Max Beckmann's work became more exuberant following his period of using dark colors, a reaction to his horrific experiences of WWI. The basis for this painting by August Mackes is made up of three main influences: his wife Elisabeth, the sculpture of Arstide Maillols and the color pallette of Paul Sérusiers. Paul Klee, alongside Lyonel Feininger, was another artist from the Bauhaus. 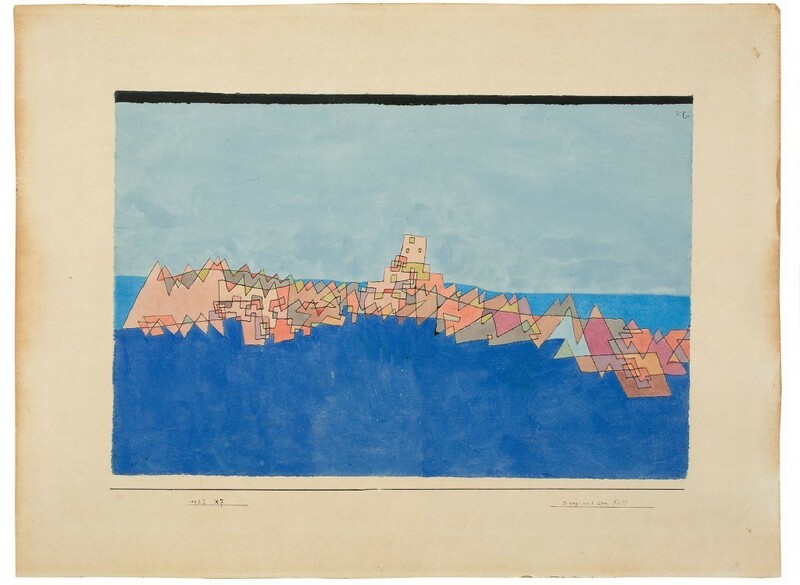 This watercolor represents a journey to southern France and Corsica, conveying Klee's attention to the forms and colors of nature. 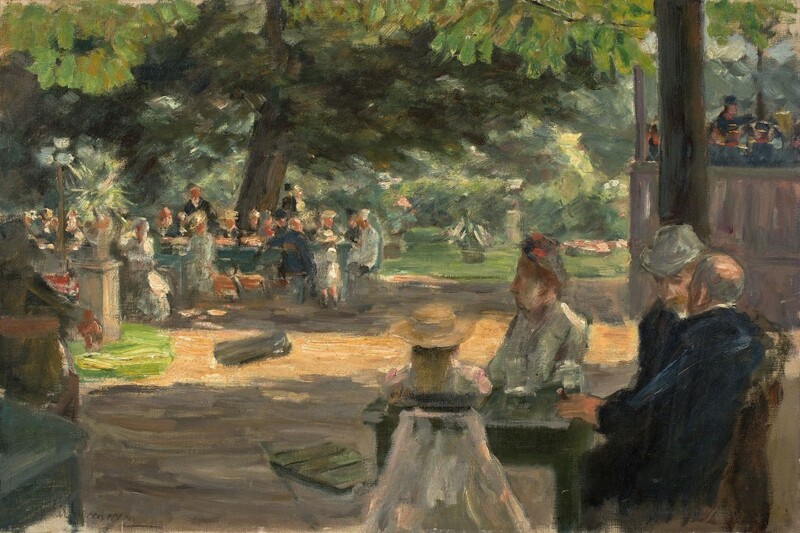 This work by Max Liebermann is a study of the painting Restaurationsgarten in Leiden, which is exhibited in the Kunsthalle in Hamburg. 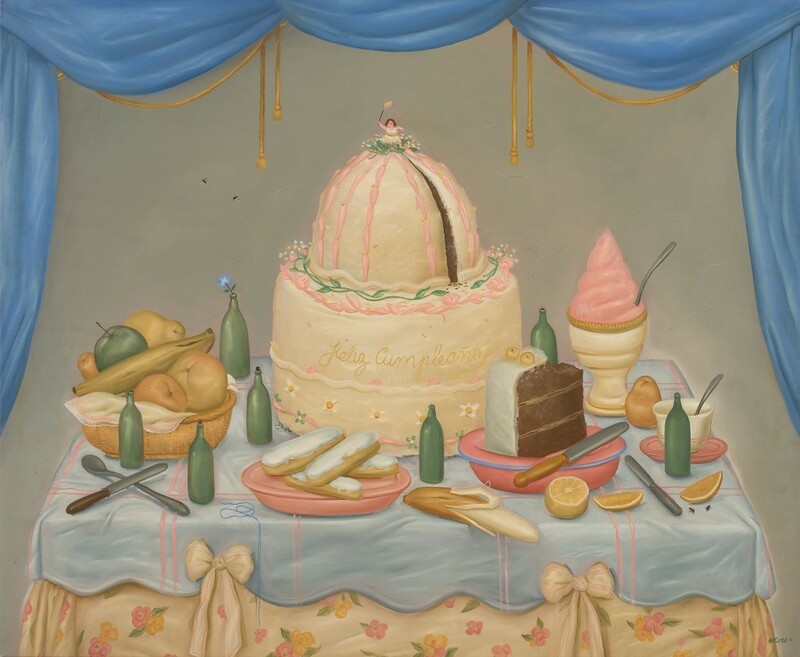 There are several preparatory works for the painting. The study that is part of this auction is perhaps closest to the end result. Since 1878, Liebermann had repeatedly painted beer garden scenes from different cities. We'll drink to that! 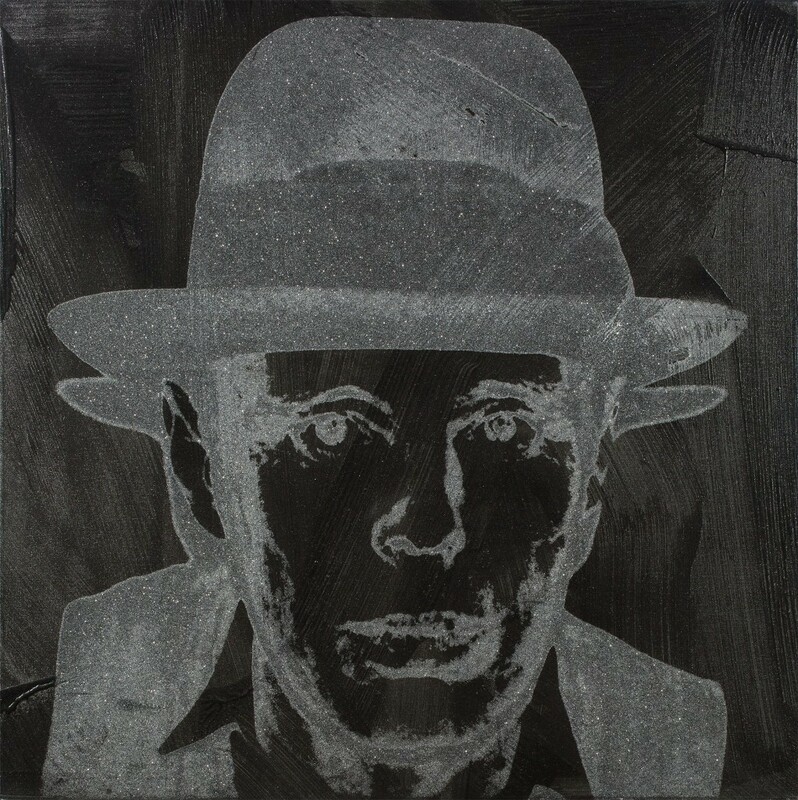 Andy Warhol started working on the Joseph Beuys screenprint after they first met each other in 1979. Despite all the differences between the artists, they had a mutual respect for each other. In this installation, Günther Uecker creates a dynamic effect through the use of color and the arrangement of the nails. It gives the appearance of gazing between into a gaping wound of a body which is still breathing. Towers are a repeated motif in the oeuvre of the prominent Expressionist Karl Schmidt-Rottluff. 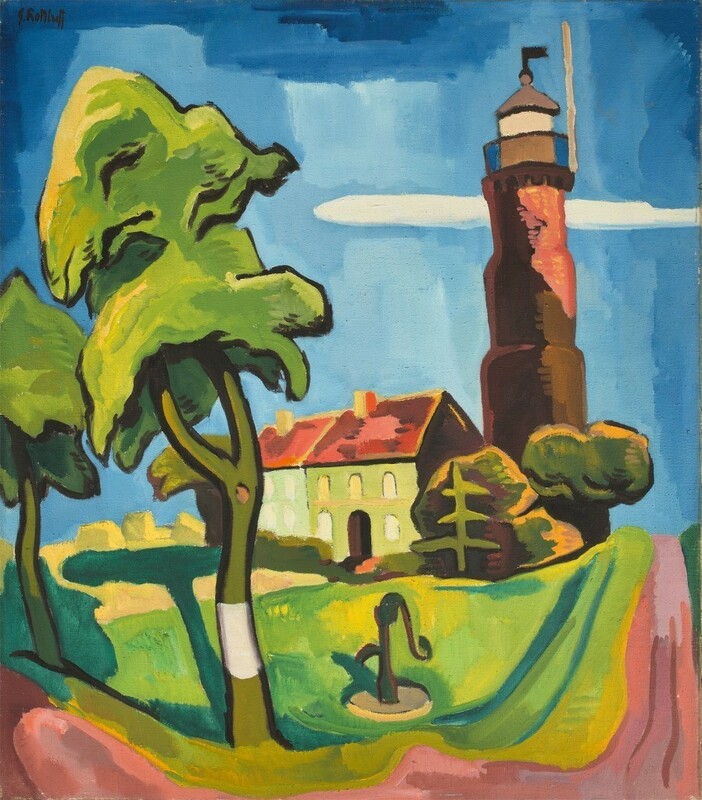 The lighthouse of Jershöft in Pomerania, where he spent the summers of 1920 to 1931, was often depicted by the artist. The example in the auction was painted after Schmidt-Rottluff's last visit to the small fishing village. 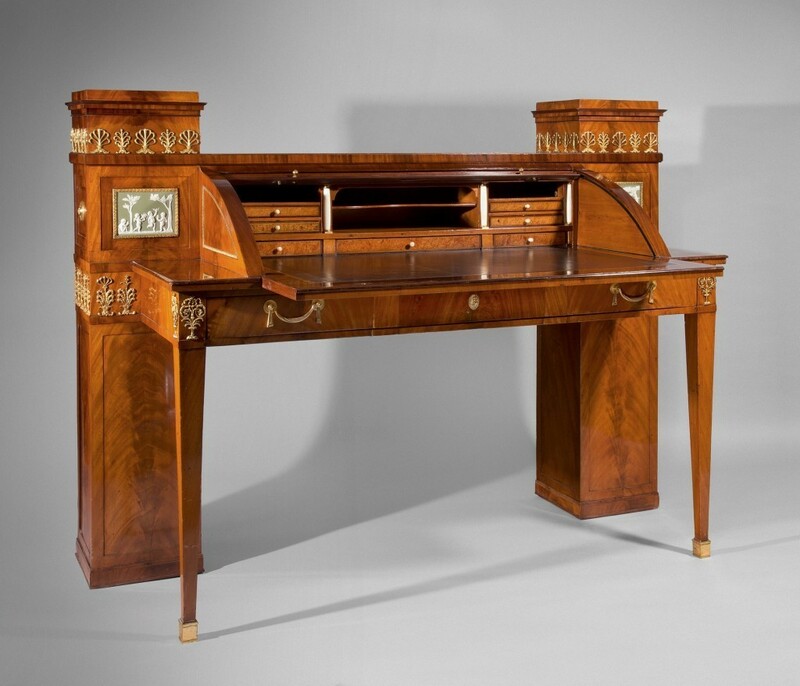 And to finish the celebrations, a rather regal piece.This neo-classical desk was created some time shortly after 1800 in Berlin according to the plans of the royal court architect Christian Friedrich Gottlieb Schadow, who had been commissioned by Prussian Queen Luise. After her beloved desk had been destroyed, this remake was presented to her by the Prussian court as a gift. Italian fashion designer Gianni Versace acquired the desk in the 20th century, and housed it in his New York residence.